Ruth King in Minneapolis teaching on Mindful Race. 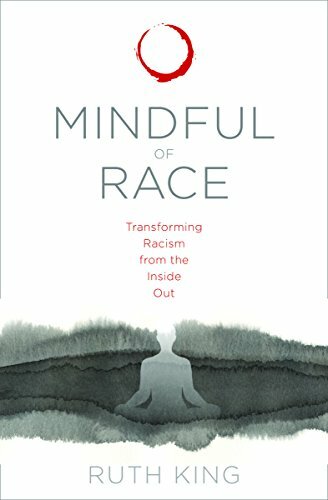 Mindful of Race is designed for leaders, groups, and dedicated practitioners to grow wise about race. Participants become aware of the relational reality of race and their role in racial suffering – its formation and transformation. Unique to this training is the exploration of race and its power dynamics from three levels of experience: individual, group, and institution, and the system of oppression embedded in our mind that is reflected in the world. This training blends mindfulness principles with an engaged exploration of racial conditioning – or what I refer to as the Racial Awareness Rubik™. With mindfulness practice, we learn how to stay present to what’s true and what’s difficult with a caring and wise heart. Grounded in mindfulness further supports us in an intimate investigation of our “individual” and “collective” racial conditioning and “systemic” proliferation.